Zuma says never enjoyed his ten years as president - SABC News - Breaking news, special reports, world, business, sport coverage of all South African current events. Africa's news leader. Former President Jacob Zuma says he never enjoyed his 10 years as president and feels he is now being persecuted – despite no longer being in power. He was addressing congregants at the eThekwini Community Church in Durban during a Passover service. Zuma will next week face fraud and corruption charges at the High Court in Durban. The charges stem from the arms deal of the late 90s. Zuma has spoken out for the first time since his corruption charges were reinstated. He says people are enjoying freedom – but he is not free. Zuma says he is no longer President – but he is still being pursued by his detractors. Zuma maintains that even after leaving the highest office in the country – he still has many loyal followers. eThekwini Community Church leader Vusi Dube says they will continue their support at the High Court on the sixth of April in Durban. 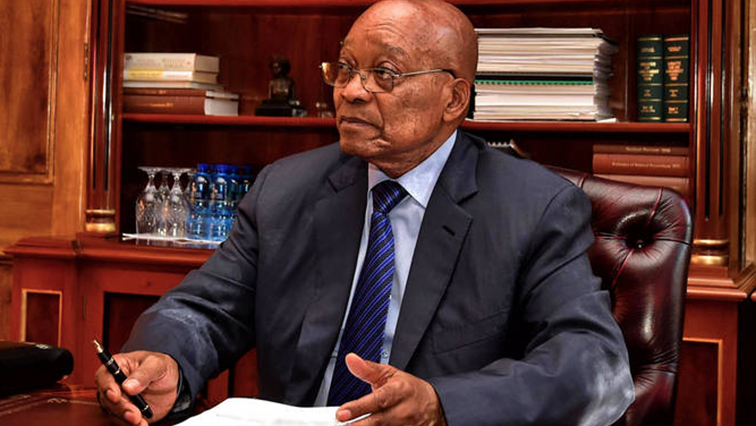 The state alleges that former President Jacob Zuma contravened the Income Tax Act for allegedly making false statements in his income tax returns and failed to show his gross income when he filed his tax returns. The former President alongside the French company Thint Holdings will appear in the Durban High court next week on charges of fraud, money laundering and racketeering. According to the indictment, Zuma was allegedly paid more than R4 million by Shabir Shaik’s cash strapped company Nkobi Group between 1999 and 2005. The state says though Shaik’s company records say payments made to the former President were recorded as loans, however, Zuma did not make any repayments to such alleged loans. The state argues that this money was a bribe solicited by Shaik’s company on behalf of Zuma in exchange of his political influence in the procurement of the multi-million rand arms deal. The state further alleges that in the year 2000, Zuma needed funds to build his Nkandla homestead and the alleged bribe money solicited by Shaik was to be used for the project. This entry was posted on 30 Mar 2018,06:01PM at 6:01 PM and is filed under Politics, News, Homepage Featured Story Slider. You can follow any responses to this entry through the RSS 2.0 feed. Both comments and pings are currently closed.